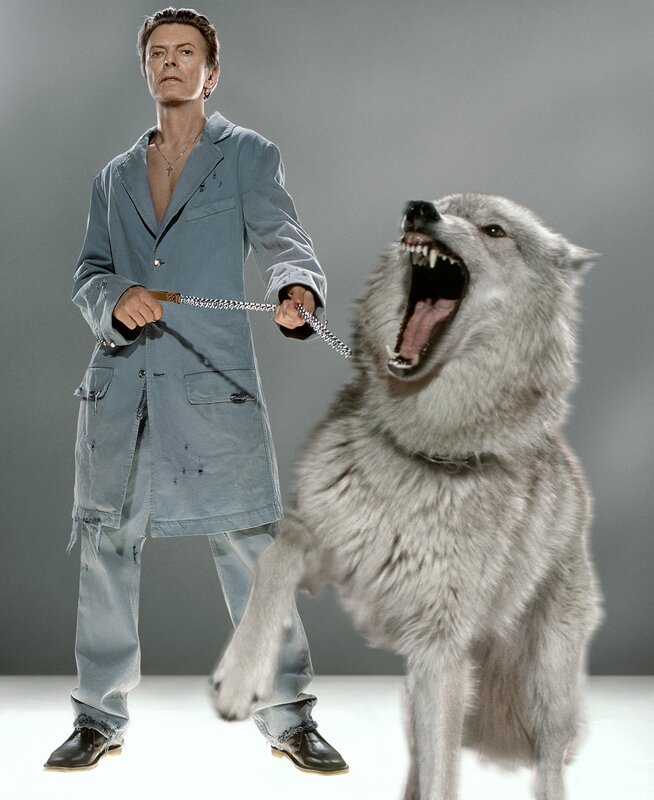 English singer, songwriter and actor David Bowie poses with wild wolves for British GQ’s October 2002 issue, in which Bowie was presented GQ’s ‘Man of the Year’. A portrait of English singer, songwriter and actor David Bowie for his twenty-second studio album ‘Heathen’, released in June 2002. The photographs were taken at Klinko’s Soho studio in New York City, US.